I am typing this slowly. Perhaps that says most of what needs to be said. I am ok. My right hand is working but just takes a little more attention. A little more time. My head is clear and hesitant. This week I suffered my second cerebral aneurysm. It happened while I was sleeping (I think) just like the first time. The main symptoms include a very weak right hand with a significant loss in motor function and a slurring of speech. Both are hard to live with but the terror is surprisingly under control. The first time was horror. 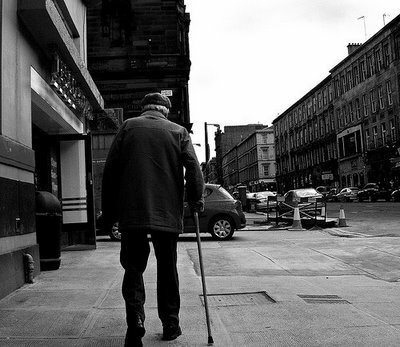 The idea of a loss of everything I am, of the ways I am in the world, was too much to bear. But if I have learned anything in this life it is that I will bear. Ending are anti-climactic. You know that, I do too. After working for three years in the cubes I am now free and barely know what to do with myself. I feel like someone recovering from Stockholm Syndrome. I have at least 12 months to do… something else. I have a fairly good idea about what those things are going to be of course. After a couple week break I am hitting the road… Scratch that. 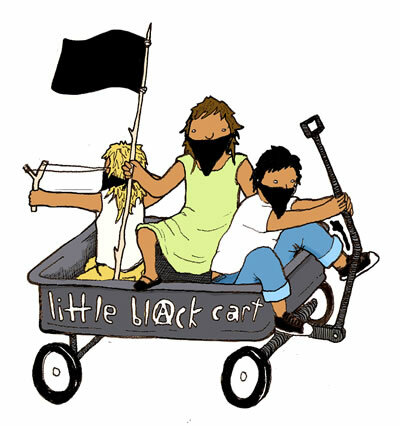 Little Black Cart is hitting the road and I am its chaperone. If you are going to nearby these locations/dates please stop by and say hello! Oh wait, that isn’t really my problem at all. I know exactly why I continue to plod forward… stubbornness. And now I am free(r) to be stubborn on my own terms. We have a possibility that makes us freer than the gods: we can quit. This is an idea to be savoured to the end. Nothing and no one is obliging us to live. Not even death. For that reason our life is a tabula rasa, a slate on which nothing has been written, so contains all the words possible. With such freedom, we cannot live as slaves. Slavery is for those who are condemned to live, those constrained to eternity, not for us.